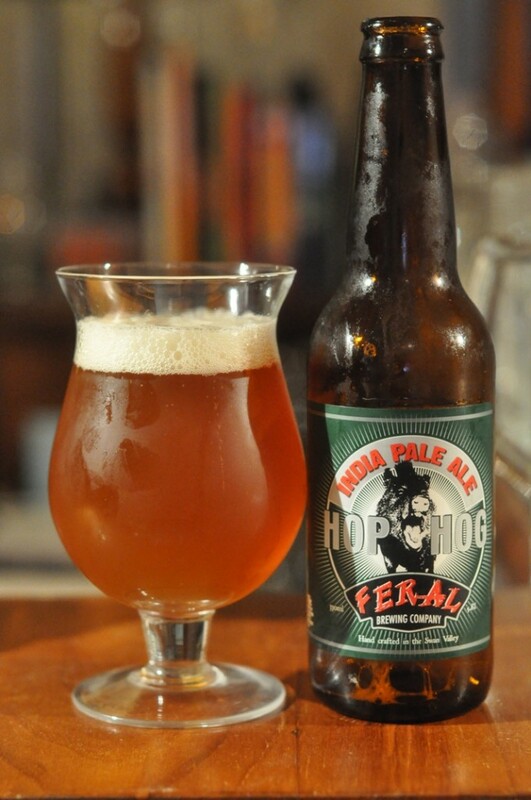 Feral Hop Hog landed in the no. 1 spot for the Critic’s Choice Top 100 Australian Beers. This is the Hop Hog’s 2nd year as being the ace beer in Australia. This beer has been named ‘Champion Ale’ at the Australian International Beer Awards and at the Perth Royal Beer Show. Aroma: Aroma is of fresh melon, mango, citrus, passion fruit with possibly some bubblegum notes showing here. Some biscuit / caramel malt aromas show here but this is definitely a hop focused beer dominated by American Pacific Northwest hop varieties. Flavour: Flavour is dominated by resinous / earthy hops supported by an understated, slightly biscuity / nutty malt backbone. The beer has an assertive but extremely well rounded bitterness which comes to a pleasant short and dry finish. The understatement of the malt profile is something to note here because the brewer has designed this beer to fully showcase the freshness and complexity of the hop profile that he has used. Next post: Enjoying life with draught beer in the comfort of your home!